One of the leading poker network providers, Tribeca Tables, have agreed a deal with Bowmans International Sports LTD to expand their portfolio of online poker rooms. Readers may know them as Doyle's Room, Blue Square or VC Poker or perhaps one of the many other skins they provide for. Tribeca Tables Europe LTD are clearly an expanding network, with an ever increasing and impressive list of customers in their portfolio. Today, Bowmans International Sports LTD were the latest outfit to join the Tribeca ranks. Steve Cook, European Managing Director for Tribeca Tables said, "Bowmans represents a significant signing for us. As poker markets are constantly changing, many brands are on the move. We are ecstatic that Bowmans are joining our network; they bring a wider base of sports and poker players and will substantially boost our liquidity. In the past two years we have signed six major companies and Bowmans will be able to enjoy all the benefits of our other poker partners." Bowmans are one of the largest sportsbook operators in North America and Canada. With their large customer base they are sure to swell the player numbers even further at Tribeca. The network already has over 100 "skins" and is quickly rising up the poker traffic charts. Tribeca Tables will be appearing at the International Casino Exhibition 2006 at Earls Court 2 from January 24th - 26th. 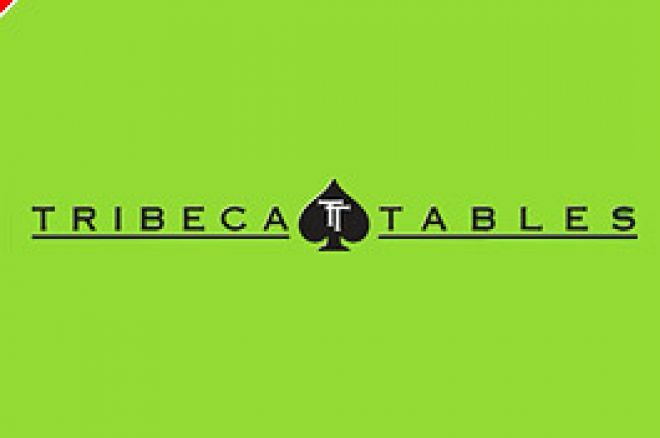 Ed note: Try out the Tribeca Tables network by joining VC Poker and earn a cool $100 bonus.